What is it about Invercargill which attracted so many of my Macloskey family? None were born there yet many married in Invercargill or made it their home. Their stories are intertwined. This article has been pieced together with information from some of my Macloskey second and third cousins – Brenda Whiteman, Anne Warren, Kimina Blacklock, Barbara McGregor and Mark Macloskey. (Three of us are in the photo above). First, some background. John Macloskey (1789-1854) and his wife Mary Ann Brook(e)s (1812-1886) daughter of Richard Brooks and and Marion Farmer, were both born in Ireland, probably County Antrim. It is not known where they were married but they were living in Greenock Scotland by the time their first child was born in 1830. John was a successful merchant and tailor. The surname was spelled McLosky in the 1841 Scottish Census. Other spellings in various Censuses and documents are McClosk(e)y, MacClosk(e)y and an occasional McClusk(e)y. For this story the generic Macloskey will be used. In about 1850 John and Mary Ann and their family of nine children (one daughter died aged one in Greenock in 1846) moved to Liverpool. Their last child was born there a year later. The family cannot be found in the 1851 Census for either Scotland or England. It is possible John at least went to a farm in Rostrevor, County Down for a time before deciding to emigrate to Australia. Why did they emigrate? It was the time of the Victorian gold rush. John was a tailor rather than a gold miner. Perhaps he saw business opportunities in Ballarat, one of the towns which sprang up following the discovery of gold. With the possible exception of their first-born the whole family arrived in Melbourne in early 1853. They stayed there for some time at Collingwood Flat in Melbourne. Sadly John died three months later from dysentery. Mary Ann was left with ten children aged from 25 to two according to John’s death certificate, the informant being his second son William Joseph Macloskey, who incidentally was the only one of the children who returned to Scotland where he became a doctor. Mary Ann married again a year later, but had no further children. Her second husband Alexander Richard Menzies/Minzies must have been a wonderful man to take on 10 step- children! They always lived in Melbourne. Alexander was an official at the Victorian Treasury who came from Liverpool, so it is possible he met the Macloskeys there. So far no shipping record can be found for the Macloskeys but Alexander Menzies arrived in 1852 on the “Covenantor”, probably just months before the Macloskeys. The background story does not stop there, and the intertwining started. Alexander Richard Menzies was earlier married to Christian Campbell (1815-?) in Scotland and they had a daughter Mary Campbell Menzies (1835-1921), who was almost certainly the Mary Campbell Menzies who later married the Macloskeys’ eldest son Richard Brooke Macloskey (1830-1876). Their niece Ada Gresham Macloskey born 1858 married Frederick Wentworth Wade in 1877 in Invercargill. Frederick’s first wife was Ada’s aunt. Ada and Constance’s mother Mary Campbell Menzies born 1835 who married Richard Brooke Macloskey, lived in Invercargill from about 1876 onwards. Fanny Millne born 1846 lived in Invercargill before her marriage to Richard Francis Macloskey, brother of Ada and Constance, in Melbourne. (Descendant Mark Macloskey in Wales). 1. 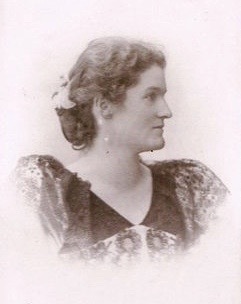 Theresa Louise Macloskey aged 23, fifth daughter of John and Mary Ann, was the first Macloskey to be married in Invercargill. She married James Blacklock on 5 Dec 1861. James, the son of William Blacklock a Perthshire solicitor and Ann Donald, was born on 21 Sept 1833 in Callander, Perth, Scotland. He had two brothers John and William who like him initially emigrated to Australia; later John and his family moved to NZ. John had married in Scotland before he went to Australia. Incidentally one of John’s sons, another William, born in Australia, became the American consultant during WW1. He was stationed in Samoa and married the island Chief’s daughter. Some time after 1872 John and James together with their families emigrated to Oregon USA. Their descendants still live there. Theresa arrived in NZ about 1860 on the “Pirate” with her older sister Mary Louisa. Why did the sisters travel to Invercargill at the bottom of New Zealand? Possibly one or both had met her future husband in Melbourne and followed him there. Perhaps they were already engaged? Or was it simply a thirst for adventure? It is thought that Theresa’s sister Mary Louisa’s future husband Walter Woodhams Whiteman met the Blacklock brothers in his travels around Southland NZ and being from the same homeland struck up a friendship. Walter, and possibly also Edward Harte Warren would probably have purchased goods from the Blacklocks’ supply business. Walter and Mary Louisa were married at the Blacklocks’ home; and James Blacklock was a witness at Theresa’s sister Elizabeth’s wedding to Edward Harte Warren. James died in Oregon about 1875 and Theresa stayed there with the couple’s four children, appearing in the 1880 Census for Port Orford, Curry, Oregon. A direct descendant is Kimina Blacklock who lives in USA. 2. The second Macloskey wife to marry in Invercargill was John and Mary Ann’s eldest daughter Mary Louisa Macloskey, aged 30 but always giving her age as much younger. On 19 June 1862 in Riverton (very close to Invercargill) Mary Louisa married Walter Woodhams Whiteman, a Scotsman from Lanark who like the Macloskeys first emigrated to Victoria. They were married at the Blacklocks’ home. Walter’s parents were Walter Woodhams Whiteman Sen. (1801- abt 1865) and Agnes Smellie Hart (1802-1873), and Walter was born on 24 June 1838 in Barony, Glasgow. There is a possibility the Macloskey and Whiteman families knew each other in Scotland as John Macloskey and Walter Woodhams Whiteman Senior were in the same industry. Mary Louisa and Walter had 9 children. The first only lived 10 days. The second was born at Gummies Bush near Invercargill in NZ. The family then went to Australia in 1864, where Walter managed a cattle station (possibly owned by the Menzies family with whom the Macloskeys were intertwined). Walter inherited a considerable sum from his father in 1865 and the family, with a new little daughter also named Mary Louisa, returned to NZ in 1867 and settled in Hawke’s Bay where Walter was a stock and station agent. Unfortunately their second child Walter Hart Whiteman (1864-1894) drowned in a Rotorua hot pool in 1894. Another son, William Leighton Whiteman (1869-1909) was a Captain in the Scottish Horse during the Boer War, and was accidentally killed in a diamond mine in Johannesburg. Yet another son John (1873-1916) died in France. All the other children stayed in New Zealand. Mary Louisa died on 22 February 1899 aged 67 in Wanganui; her husband Walter lived another 26 years. He was 6 years younger than her, which was probably one of the reasons why she always lied about her age (!). 3. Theresa and Mary Louisa’s younger sister Adela Campbell Scott Macloskey was born about 1848 in Greenock. She was 6 years old when the family emigrated to Australia. When Adela was 17 she married Frederick Wentworth Wade aged 27 on 29 August 1865 in Invercargill. Frederick, born on 23 Sept 1838 in Dublin, was the 6th of 10 children of schoolmaster Robert Wentworth Wade and Anne Gibbons. He left home at an early age and according to some accounts joined the Navy. One report says he was a Midshipman but that would have involved considerable outlay on his father’s part. A few years later Frederick turned up in Melbourne as an accountancy clerk. About 1862 he moved to Invercargill where he was clerk and then partner-accountant with a carrier firm. He was said to have had a remarkable facility for dealing with figures. Perhaps he had dealings with the Macloskey family in Melbourne, or simply met the Blacklocks and Whitemans in Invercargill and through them met Adela when she visited her elder sisters? After some years as an articled clerk to an Invercargill law firm Frederick was admitted as a solicitor and later barrister in 1869. The family always remained in Invercargill, where Frederick became one of the City Fathers, being involved in the early Council and a member of various prominent Invercargill institutions – the Turf club, Southland Racing Society, the Athenaeum, The Hospital Trust, the Chamber of Commerce and the Southland Caledonian Society; he was also a trustee of the Savings Bank, and was Sgt-Major and later Captain in the first Volunteer Company formed in Invercargill. Frederick and Adela had 6 children in the space of 9 years. When the youngest, the author’s grandmother Bertha was 6 months old her mother took her to Melbourne presumably to meet her Macloskey relatives. Adela aged 26 died there from Phthisis on 30 August 1874. It is not known how Bertha was returned to her father in Invercargill. Perhaps one of the Macloskeys travelled with her. Or her father went to fetch her. All the children eventually went to Australia and only one, Robert, later returned and made his home in NZ. 4. Theresa, Mary Louisa and Adela’s sister Elizabeth Amelia Fraser Macloskey (also spelled McClusky and McLoskey) was born about 1840 in Greenock and was 14 when her family arrived in Australia in 1852. She married Edward Harte Warren on 13 January 1869 in Invercargill when she was 30. James Blacklock was a witness to the marriage. Edward Harte Warren was born in 1833, the second son of Robert Warren and Matilda Hopper of Castle Warren near Ringaskiddy in Co. Cork. Later the family moved Moyview Farm in Co. Sligo. As a young man Edward went India, possibly because his uncle Major- General Hopper was in the Bengal Army, and became Chief Accountant with the Bank of India. He left India in 1865 and apparently tried his hand at farming in NZ, where he married Elizabeth in 1869. That same year the couple moved to Victoria were they lived all their married life, initially at Sandhurst (now Bendigo) then at Tarnagulla (where there were still bushrangers), then South Yarra and Kilmore, an outer Melbourne suburb. Edward was an accountant and bank manager. Elizabeth and Edward had 5 children but only 3 boys survived their first year. All lived in Victoria although one son died in Auckland NZ. Elizabeth died on 15 June 1921 in Melbourne, aged 81. Edward had died 6 years earlier. Anne Warren of Victoria is a descendant. 5. Ada Gresham Macloskey, eldest daughter of Richard Brooke Macloskey and Mary Campbell Menzies, and niece to the three sisters listed above, was born on 21 January 1858 in Bendigo Victoria. She travelled to NZ in 1873 on the “Albion” from Melbourne. Most likely Ada was on a visit to her sisters. Ada must have returned to her family in Melbourne. But within a year or so when Ada was just 19 and he was 39, she married her late Aunt Adela’s husband Frederick Wentworth Wade on 12 November 1877 in Melbourne. Presumably Frederick travelled to Melbourne so Ada could be married from her family home, but they would have returned to NZ soon after. She took on 5 children aged between 11 and 3, and then two years later had one of her own, Florence Ada (“Fonna”). Six children to manage when she was still only 21! Ada lived in Invercargill until her death on 17 Dec 1931, Frederick having predeceased her by 17 years. Some of her brothers, sisters, nephews and nieces must have visited her frequently, judging from the occasional newspaper reports. Her brother Gerald was a solicitor in Pahiatua. Ada is the only Macloskey wife of whom we have some detailed history. A tribute to Ada was in the Southland Girls’ High 50th Jubilee edition. Among the many women who made their presence felt most markedly in the old school in Conon Street was Mrs. F. Wentworth Wade. When our numbers were small, and all our girls were housed in the two rooms facing the north, and when there were no prefects or class monitors and no luncheon supervision for teachers, for many years the combined duties of these positions was fulfilled by Mrs. Wade. She was appointed by the Board of Governors to come to the school in the mid-day recess, and to chaperone the girls who stayed to lunch. As the Lady Principal left the Grounds, Mrs. Wade entered the gates, and the girls felt immediately that they were under the strict but gracious supervision of a woman who could see the whole of their little playground from her window. She was never late. I remember the window where she sat. The “frost” left a clear margin of perhaps two inches all round, and although we could never see into her room from outside, we felt keenly that Mrs. Wade could see out at the top and bottom, at the right and left. Sometimes when we laughed too heartily or called out too loudly, a sharp rap on the window would call us to a sudden realisation that we had transgressed. No call to “Attention” in our daily life had more authority behind it than that sharp, sudden rat-tat-tat. If we wished to go into town or to deliver a message during lunch hour, we had to receive Mrs. Wade’s permission. How particular she was about our mission, and the time we should be away! But how gracious she was! I remember her tall, slim figure, her perfect taste in dress, the smile with which she always greeted us, her “Good morning, girls.” In the school ground or on the street she never failed to acknowledge us, and if she stopped to speak to us a few pleasantries about the weather, or the school, we felt a peculiar thrill of pleasure. A quarter of a century has come and gone since then. I still see her sometimes; her step slower, her beautiful hair grey, her tall figure slightly bent as she rests on her daughter’s arm. Yet there is, withal, that courtesy and deference to others which mark the woman of grace and culture. In the evening of life, may she be surrounded by the loving care and attention which is her due; and we girls, who come under her refining influence, wish her well in her declining years. 6. Ada’s sister Constance Elizabeth Macloskey was born on 10 December 1862 in Inglewood Victoria and married George Compton Tothill in 1887 in Invercargill. She had a twin sister Christina Louisa who sadly only lived 5 years. It is thought Constance travelled to Invercargill about 1881, possibly to visit her sister Ada who had married Frederick Wentworth Wade four years earlier. George Compton Tothill was born on 18 February 1860 at Heavitree, Exeter, Devon, the son of William Richard Tothill and Alicia Anne Cathary, and grandson of Dr. Richard Hugh Tothill of Exeter, Devon. George’s father and some uncles went gold prospecting in Australia in the early 1800s leaving behind in Devon George’s mother and seven children. Unfortunately his father died of heatstroke near Castlemaine aged 34. George went to South Australia when he was 16 years old, possibly to visit his uncles’ families, then in 1876 he arrived in Southland NZ, settled there and started a business in Invercargill. He married Constance nine years later. Constance died on 14 January 1897 when their six children were all under 10 years old. In a sad twist of fate, their son Compton perished at Gallipoli. The night before he died his brother Geordie met him, neither knew the other was in the area. Geordie was with the Australian Mounted Rifles and Compton with the Wellington Contingent. George remarried a year later in Mt. Gambier South Australia, his first cousin Henrietta Tothill (born Devon). George later died in a fatal car accident in 1919 – a collision between a car and a spring cart. There would have been very few fatal car accidents in those days. 7. Ada and Constance’s mother Mary Campbell Menzies did not marry in Invercargill, but lived there for many years following the death of her husband Richard Brooke Macloskey and again later following the death of her son Gerald with whom she was living in Pahiatua. Mary Campbell Menzies was born on 17 September 1835 in Greenock, the daughter of Alexander Richard Menzies and Christian Campbell. Quite possibly the Menzies knew the Macloskeys in Greenock. Mary arrived in Melbourne in early 1852 on the “Covenantor” with her father and two sisters. She married Richard Brooke Macloskey in Melbourne in 1855. Richard died in 1876 aged 46 and it is thought Mary went to New Zealand soon after, initially to Invercargill. Her daughter Ada had married Frederick Wentworth Wade in 1877 and lived there. Two of Mary’s sons married in Victoria; another (Gerald) went to NZ with her and is recorded as having played football in Invercargill with his “best mate”, one of the Wade boys. Later Gerald became a solicitor and Mary lived with him in Pahiatua. Gerald died in 1901 and Mary then went to live with Ada and Frederick in Invercargill. At some stage she went back to Melbourne and died there in 1921, aged 85. 8. Mention should also be made of Fanny Millne, a French teacher at Southland Girls’ High, who lived in Invercargill before her marriage in Melbourne to Richard Francis Macloskey, son of the above Mary Campbell Menzies and Richard Brooke Macloskey. Fanny’s teaching position was made redundant in 1880 “…. despite the protests of F.W. Wade, newly elected member of the Schools’ board.” She was later offered a post of Visiting Teacher to Invercargill Boys’ and Girls’ schools in Dec 1880. Later she became headmistress of Timaru High School in 1881. Her initial appointment was as a teacher of ‘English and Accomplishments’. They had one son Charles Millne Macloskey born in 1888, but the marriage ended and mother and son returned to England when Charles was quite young. Her husband joined the British Army and served in South Africa; the 1891 and 1901 Censuses show her as “living on husband’s means”. Later she ran a boarding house in London. Her descendants live in Wales. Nancy Vada Gibb. Please do not copy any or part without permission.